Two new releases from the Shakespeare's Globe Theatre. The gripping account of the rise of Prince Hal from idle barfly to monarch-in-waiting in the first part and when has proved his mettle on the battlefield, he must deal with the death of his father and Sir John Falstaff. 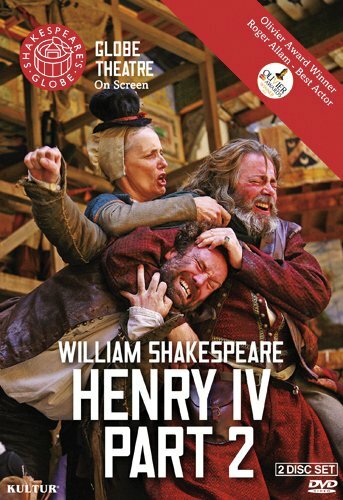 New York, NY (May 29, 2012) - Kultur is proud to announce two new releases from the Shakespeare's Globe Theatre available on DVD on June 26. Prince Hal, son of King Henry IV, seems to be squandering his life away with the fat knight Sir John Falstaff and the whores, boozers and petty rogues of Eastcheap. But beside these scenes of glorious misrule gathers a nationwide rebellion led by the Duke of Northumberland and his charismatic son, Hotspur. The first installment of Shakespeare's gripping account of the rise of Hal from idle barfly to monarch-in-waiting combines compelling power politics with the hilarious antics of Falstaff, Shakespeare's greatest comic creation. Hotspur is dead and Prince Hal has proved his mettle on the battlefield, but King Henry IV lies dying and the rebels show no sign of surrendering. Even Sir John Falstaff is forced out of the taverns to raise a militia, but will his attachment to Hal be rewarded with promotion and the life of ease he feels sure he deserves? Henry IV Part 2 includes some of the greatest moments in Shakespeare: the deathbed scene of the old King, when Hal contemplates the crown; and Hal's devastating rejection of Falstaff himself. 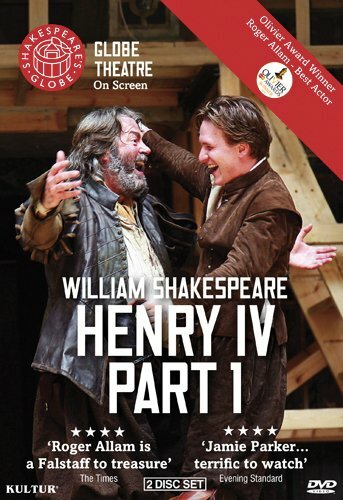 Roger Allam ('a Falstaff to treasure' -The Times) won the 2011 Best Actor Olivier Award for his performance in Henry IV Parts 1 and 2. 'Jamie Parker (Prince Hal) is terrific to watch' (London Evening Standard); he appeared in As You Like It at the Globe in 2009, and was also in The History Boys at the National Theatre, on Broadway and on film.